A lawmaker from India’s ruling party called the Taj Mahal a blot on Indian culture, saying in October that the famous tourist site had been built by Muslim traitors. In November, another party member offered a bounty for the heads of two people involved in a movie featuring a Muslim sultan. Then, this month, a laborer was hacked to death and set afire while his alleged attacker ranted against Muslims. The series of incidents this fall has reinforced fears that anti-Muslim sentiment has hardened in India in the three years since a Hindu nationalist party led by Prime Minister Narendra Modi swept to power. Some say it has reached a point where Hindu extremists believe they can get away with murder. 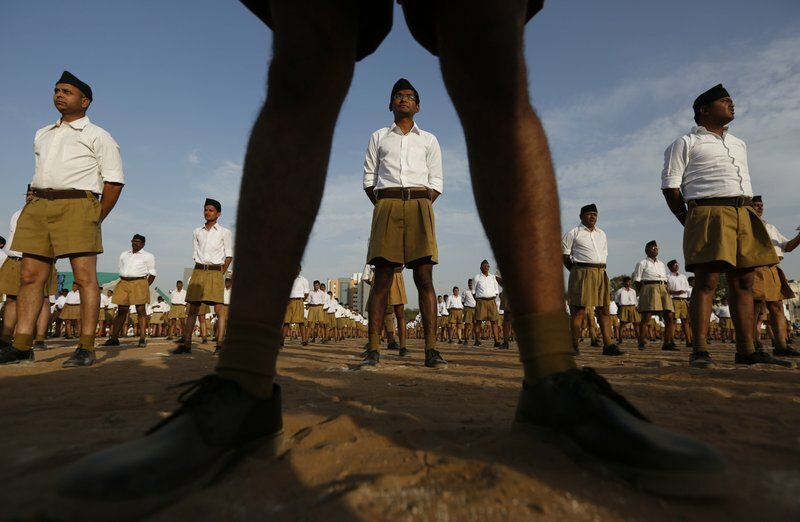 Others worry that hard-line Hindu leaders want to rewrite the country’s rich Muslim history. The shift in attitudes is happening in a democracy of 1.3 billion people that is often held up as a model for inclusion in the developing world. When former President Barack Obama visited New Delhi earlier this month, he said Muslims were integrated and consider themselves Indian. Hindus account for 80 percent of the population, compared to Muslims’ 14 percent. While there have long been religious tensions, there is a sense the stakes have risen under Modi’s Bharatiya Janata Party. 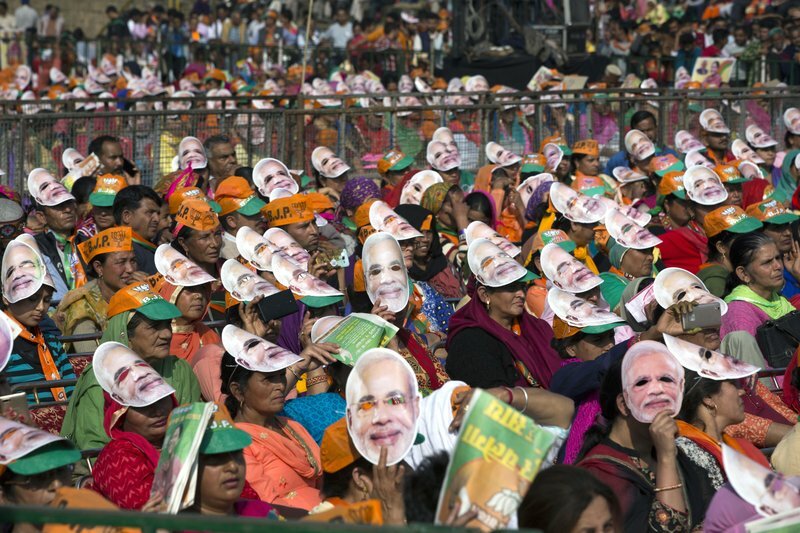 The BJP maintained its hold on Modi’s home state of Gujarat in election results tallied Monday, although with a reduced majority. In a tweet this month, Muslim lawmaker Asaduddin Owaisi questioned whether Modi is a leader for all religions or just Hindus. “Remember that you have taken oath on Constitution,” he wrote. Muslims in India have had to deal with a certain level of discrimination for decades, historian and writer Mukul Kesavan said, noting they often find it difficult to buy or rent homes. But Kesavan said Modi and his party have given Hindus a sense of permission to lash out against Muslims. He cited cases of mob violence against Muslims who buy or sell cows for slaughter, which is banned in most of the country because Hindus consider cows sacred. The mobs have gone unpunished in some cases, while the victims or their families have been charged with illegally possessing beef, Kesavan said. The brutality of the laborer’s death in the western state of Rajasthan shocked many. TV showed a video of the alleged attacker ranting while the victim lay on the ground behind him. Police have made an arrest. But in other cases, investigations have dragged on or gone nowhere. Kesavan said police often await advice from the ruling party before acting. 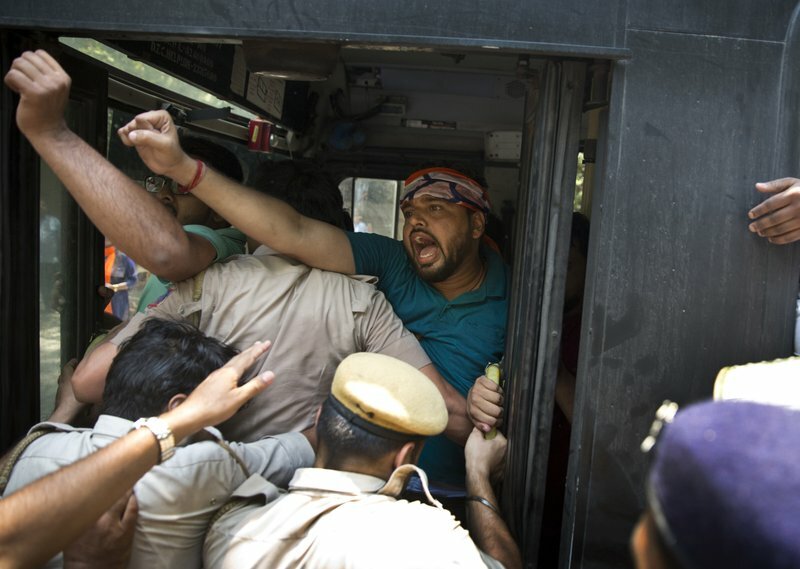 Modi’s BJP rejects the notion it is encouraging violence. At an office in the Constitution Club of India, party spokesman and former lawmaker Bizay Sonkar Shastri said occasional flare-ups between Hindus and Muslims are a natural part of life and began long before his party came to power. He said that in two decades of power in Gujarat, the BJP has built an interconnected system of roads and ensured every village has electricity. Yet party member Suraj Pal Amu last month offered 100 million rupees ($1.6 million) to anybody who would behead the lead actress and director of “Padmavati,” a still-unreleased Bollywood movie that is rumored to depict a relationship between a Hindu queen and a Muslim ruler. Amu later resigned from his party leadership post in the northern state of Haryana. Police have said they’re investigating. Shastri said he didn’t know much about Amu’s threat, but that he should be punished according to the law. Shastri went on to say he had heard about the movie’s rumored love sequence, which if accurate, would be “very bad” because it would be twisting the Padmavati story. The movie is based on a 16th-century poem in which a queen chooses to kill herself rather than be captured by a sultan. Over centuries of retelling, the epic has come to be seen by many as historical fact. Most of the anger against the film appears to stem from rumors that filmmaker Sanjay Leela Bhansali shot a romantic dream sequence between the protagonists, which Bhansali has denied. There has also been something of a campaign against India’s most famous monument, the Taj Mahal, which was built by a Muslim emperor nearly 370 years ago in memory of his deceased wife. A Hindu monk who is the top elected official of Uttar Pradesh state, where the mausoleum is located, said in September that visiting foreign dignitaries should be given a copy of a Hindu religious book rather than miniature replicas of the Taj Mahal. The state government then left the monument out of an official tourism booklet, though it later backtracked. In October, BJP lawmaker Sangeet Som made the “blot on Indian culture” comment. Some are now claiming a Hindu temple was located on the site before the Taj Mahal was built. Bhuvan Vikrama, the superintending archaeologist from the Archaeological Survey of India, said it has found nothing on the site so far to support the Hindu theory. He said he could not elaborate because of litigation over the temple claim. 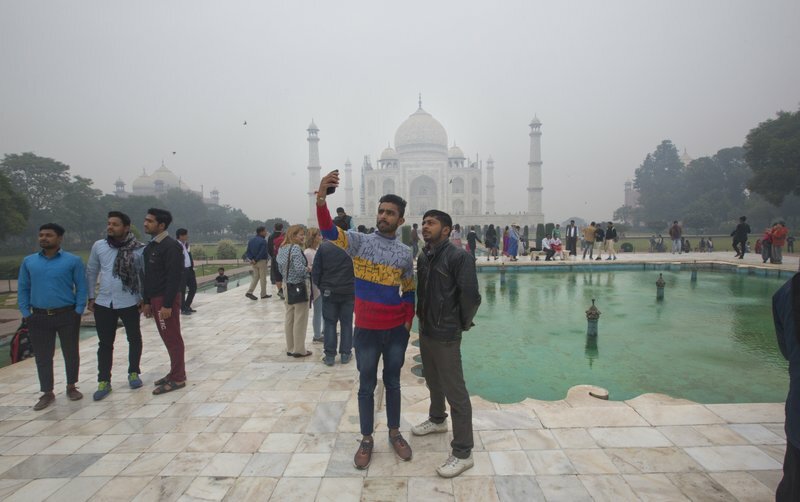 Pritha Ghosh, a graduate student from Kolkata visiting the Taj Mahal, said politicians are focusing too much on religious differences in what she considers a dangerous trend. She said politics should be kept away from the monument.